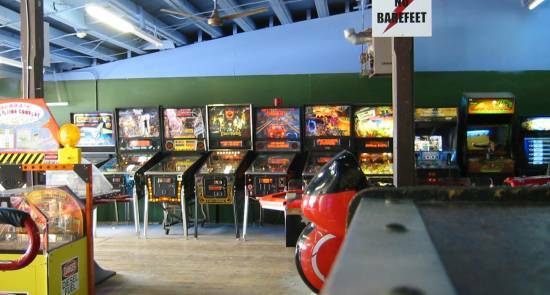 The 9 th Annual Funspot Classic Video and Pinball Tournament took place at Funspot, Weirs Beach, NH in the USA and two of the UK Pinball community went along to compete. 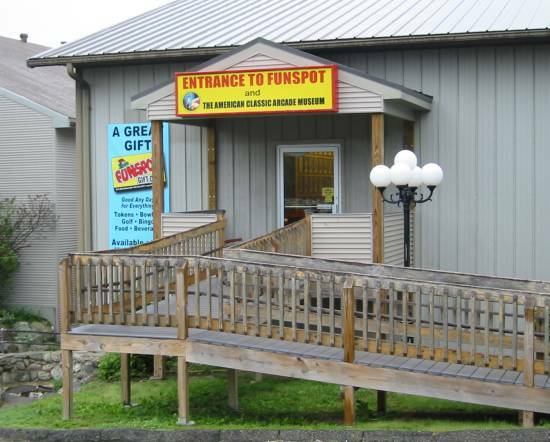 Funspot is known primarily for having probably the largest and most complete classic video game collection in the world, with over 200 individual titles permanently available for public play. You name a classic '70s or '80s (and many '90s) video game and it's almost certainly there, in superb condition. 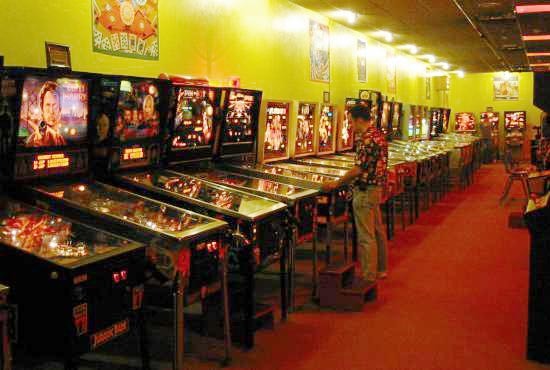 However, it's not just classic video games that are on offer, there's an excellent selection of pinball machines as well, mostly located along a couple of walls around the large video game playing area. Other (typically newer) titles are located around the rest of the large entertainment complex. The Funspot annual tournament is quite different to your usual pinball tournament, as it has no separate qualifying or final stages, etc. 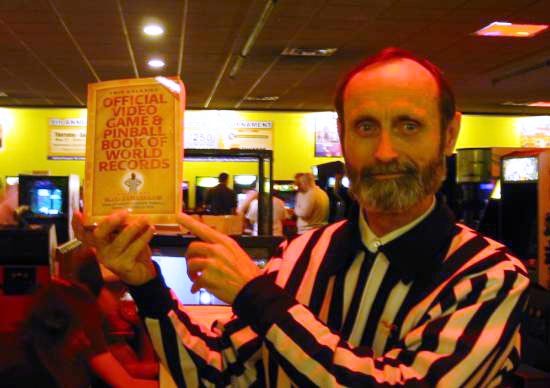 For starters, it's only part of the overall event and most of the people are there for the video games and, more specifically, to set official world record scores for entry into the Twin Galaxies book. 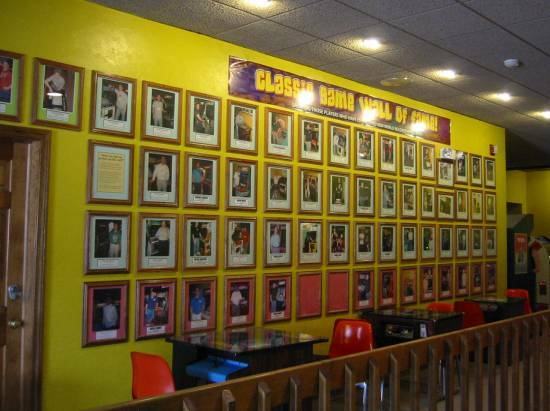 Twenty-two new world records were set during the event and the Classic Game Wall of Fame, showing the records set at the event in previous years, will need to be updated. The actual tournaments are pretty simple. (There were three main ones; Pinball, Video and All Atari Challenge.) You paid an entry fee and you were handed a badge with your name on it and a big plastic cup containing a couple of hundred tokens. All of the machines in the complex take one token, so value for money is second to none! 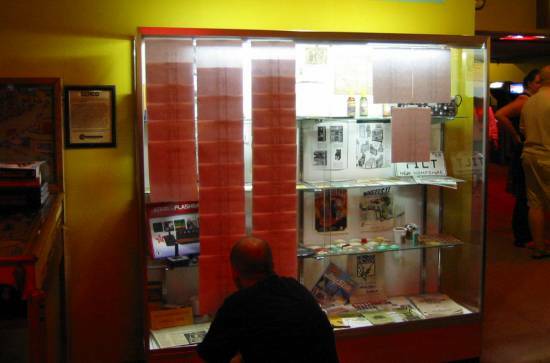 The back wall contained all of the tournament machines and you simply played them as much as you wanted with your tokens. When you thought you had a decent score you asked one of the resident referees to log it for you. Some people were there every day, others just for a short time. How did you know how well you were doing? You didn't! Until some preliminary results arrived on the final day, the only thing you had to go on was the high score on each machine and your memory. Many people used pen and paper but I was a stage ahead of this, I used my digital camera! 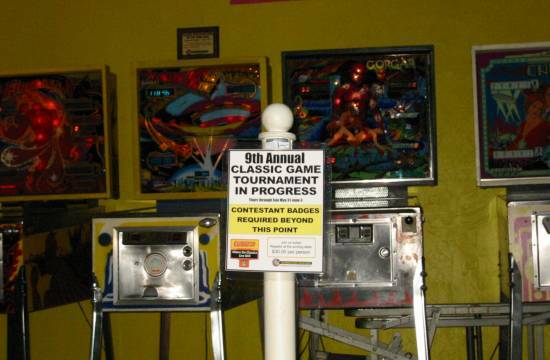 At the end of the tournament, the scores for all of the machines were totted-up and a winner for each of the events, Pinball, Video and All Atari, was declared. 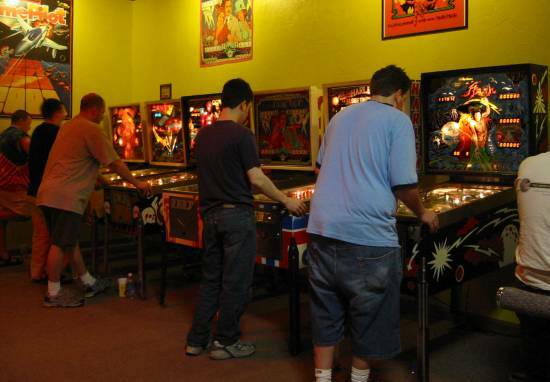 Tournament scoring used a system where individual scores were calculated as a percentage of the highest score on each machine and so, with five pinball machines used, the theoretical maximum score was 500% total. 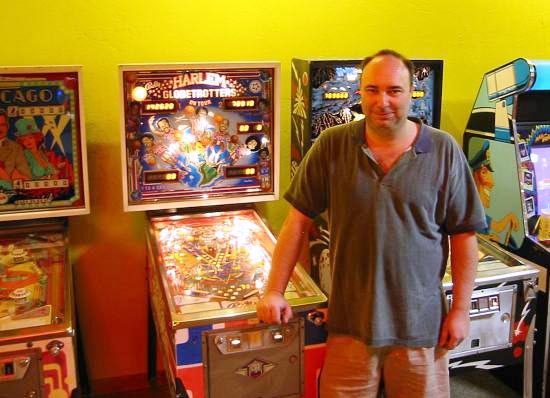 You can see pinball tournament winner Michael Haycock in the picture below, together with some of the machines played. 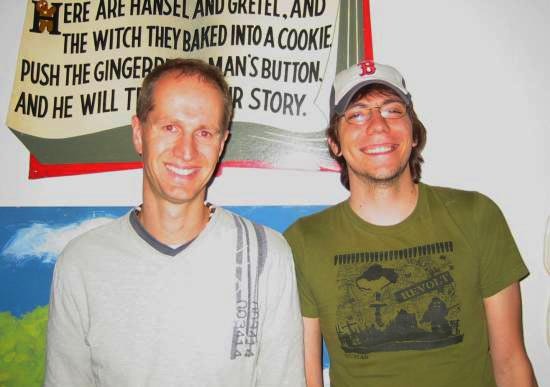 Third and fourth place finishers, Michael Sao Pedro and Greg Mott respectively, are shown below (Greg on left). 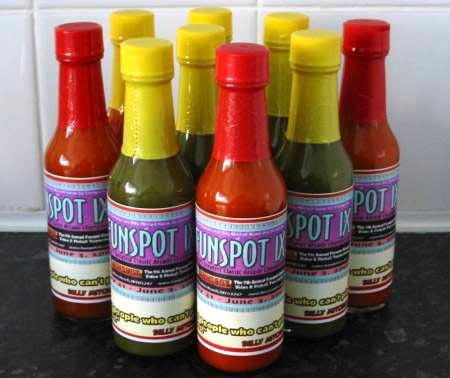 However, if you also enjoy video games, in terms of pure enjoyment and value for money, Funspot can't be faulted. I've never seen such a superb and large collection of video and pinball machines and, after spending some time among them, you can see that the people who keep them running have incredible passion for the place. 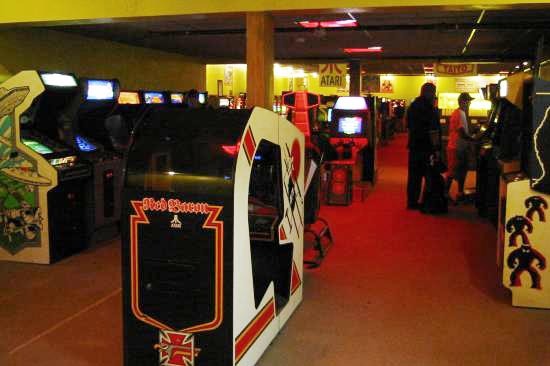 Not only that, there are a couple of very well-stocked lakeside arcades just down the road that are firmly stuck in the '80s and '90s. So if you're looking for further dose of retro-gaming, you can't really go wrong. 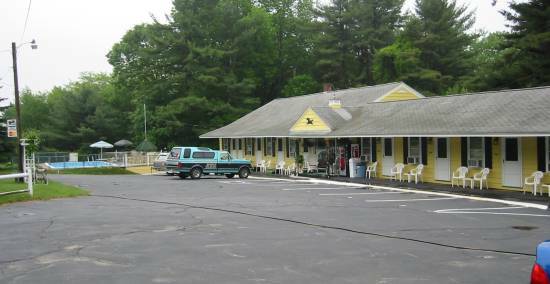 The Weirs Beach area is a scenic hour and a half's drive north of Boston airport and there are many small motels on the way. The Lake Winnepesaukee Motel where we stayed was family run, very friendly, with a short walking distance to the beach and Funspot venue. Additionally, it offered a free-to-use PC with internet access in the lobby. Should you feel so inclined, there are many opportunities for whitewater rafting, camping, trekking and many other activity sports in the area. Go a little further and skiing is available too.